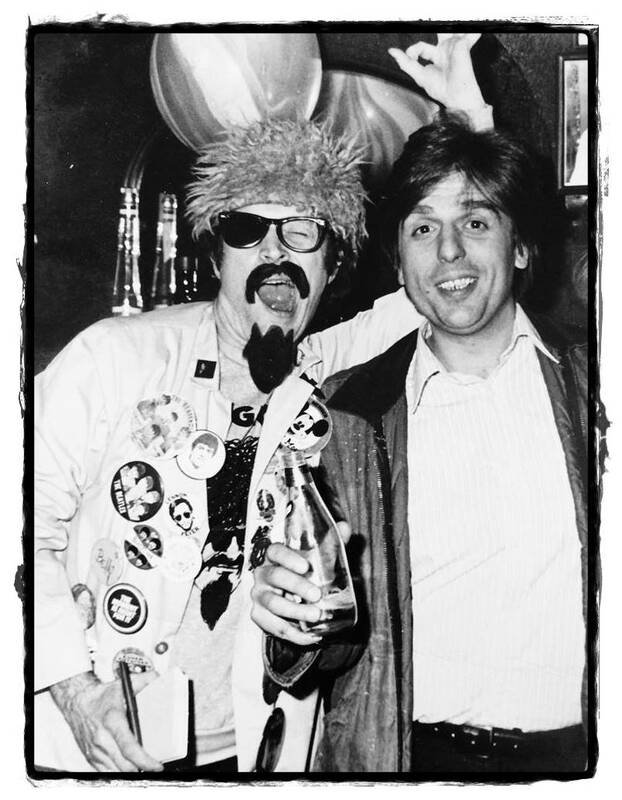 Television legend Ron Sweed, known as The Ghoul, poses with Art Lyzak at Lili’s 21 Club where Sweed performed. On April 1, 2019 Hamtramck lost a good friend. Ron “The Ghoul” Sweed passed away, five months after suffering a heart attack; he was 70 years old. Sweed was born January 23, 1949 in Cleveland, Ohio. At age 13, Sweed got his big break by wearing a gorilla suit at a local event featuring famed Cleveland television host Ernie “Ghoulardi” Anderson. “Ghoulardi” was an already established TV beatnik ghoul who popularized the phrases “stay sick” and “turn blue.” Anderson spotted the young Sweed in the audience, and invited him on stage. After a little back-and-forth banter, Sweed ended up as production assistant for Anderson’s show. Sweed later landed his own spot, and debuted as “The Ghoul” in Cleveland in 1971 after Anderson’s departure. Late-night television would never be the same. Sweed’s ability to make unwatchable B-movies entertaining through his hilarious commentary and segues made him a hit. He and his sidekick “Froggy” would routinely blow up anything from pierogi to a cardboard cutout of then-President George H.W. Bush in the 90s (how he got away with that, we’ll never know). “The Ghoul” came to Detroit via syndication in the early 70s on WXYZ TV-50, gaining local celebrity status. After a well-received run for several years, and the permanent closure of hosting station WKBF in Cleveland, Sweed moved down the television dial to WXON TV-20 in 1976. 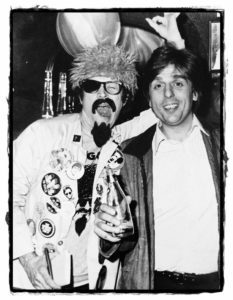 For the better part of 50 years, he made Detroit and Hamtramck his second homes, making appearances at malls, conventions, our own local bars, and even a Harlem Globetrotters game, where his costume was ripped from him as if he were in The Beatles. “Ghoul Power” was here to stay. It didn’t matter who you were or what music you liked, everybody could agree that “The Ghoul” was cool. A later revival saw him hosting movies at high school auditoriums and The Redford Theatre (where the fire marshal wouldn’t permit him the enjoyment of explosions, and so he showed rare outtakes of his earlier material instead). “The Ghoul” could also be found MCing for Paczki Day at the former Lili’s Bar (now The Painted Lady), where those M-80s will forever echo and where a chunk of a paczek casualty still sticks to the wall. During one such appearance in the early 2000s at The Magic Stick (featuring local “Rock-N-Wrestlers” the Bump N Uglies whose performances routinely included body slams into tables and stop signs slammed across bloody heads), things got weird. It’s unclear whether Sweed knew it was an act. So scratch glass and climb walls Ghoul, to that big pierogi in the sky!